Local search advertising is a must for brick and mortar style businesses. Local search will allow your customers to pull up information they need in order to go to your business and call. We can keep a consistent business listing for your company, monitor reviews, and more. Show up on over 56 different online search engines with the same consistent look and feel. Get started by calling us today! 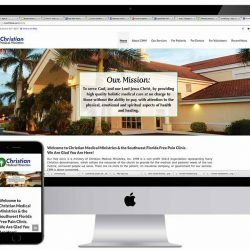 We Do More Than Create Great Websites. Get In Touch!